France, like many developed economies, is struggling to fill low-paid, manual jobs. Turnover is high in the hospitality sector, where kitchen work and cleaning jobs are seen as particularly unattractive by many. At a meeting with government in mid-July, industry representatives called for measures to make it easier to hire migrants. In an interview Wednesday, Heguy said the industry was in a position “to issue 100,000 job contracts straight away”, half of them for permanent positions and half for seasonal jobs. Under French law, refugees can work once they get their papers but asylum-seekers must wait nine months after filing their claim for refugee status before taking up a job. An immigration bill passed by parliament last week — but which President Emmanuel Macron has yet to sign into law — cuts the waiting time to six months. The CGT, France’s biggest trade union, said it supported the idea of regularising undocumented workers but said employers also needed to try to make low-paid jobs more attractive. 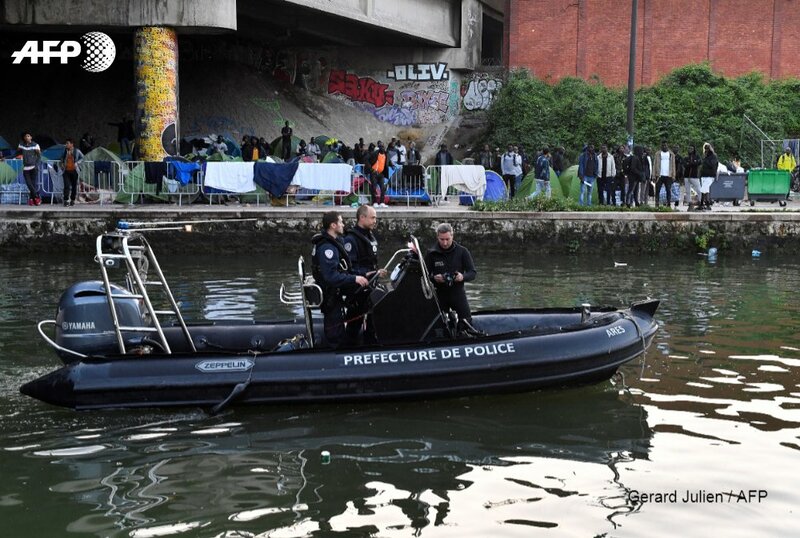 #France/#Italy: French authorities continue to violate the law and the rights of #refugees and #migrants on the Franco-Italian border on a daily basis.